Chihuahua For Sale, Could This Pint-sized Breed Be Right For You? The feisty Chihuahua and their long history! The chihuahua is known as the smallest dog in the world. It was named after Chihuahua, a state in Mexico. This dog has a variety of sizes, coat colors, lengths, and even head shapes. It’s believed the breed originally descended from the ancient dogs of the Toltecs called Techichi. Chihuahuas for sale can have a deer head shape or an apple head shape. Their ears are triangular, erect and pointed. Within the chihuahua breed these dogs can also have a short smooth coat, or a long coat. Most kennel clubs only recognize these types separately, and matings between the two are not eligible if you wish to show them. 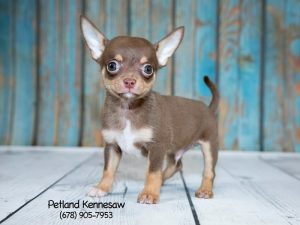 Petland Mall of Georgia always has the Chihuahua for sale, it’s one of our most beloved breeds! Check them out on our available puppies page! This tiny breed packs a big personality! A chihuahua for sale is from a height of about 6 to 9 inches, though some are known to grow up to 15 inches tall. For American breed standards a chihuahua must not weigh more than 5-8 pounds, but any size is perfect for a pet. Pet chihuahuas may weigh up to 10-12 pounds, which is typically a better size for owners with lots of children as they can take a little more “rough love”! Chihuahua for sale? There are so many to choose from! There are many colours of chihuahua puppies to choose from. They can vary from white, brown, and black, to a variation of spotted, sabled, and mottled coat patterns. In the show ring no one color is more desirable than the other. A chihuahua for sale may have a temperament close to their parents’ or grandparents’ temperaments. This breed can be hyper and they are always ready to defend home and territory. This type of dog has to be closely supervised with younger children. They’re known to become over-protective of one person, so they do well for a single person or a senior. Do you have more questions about bringing a Chihuahua puppy home? Don’t hesitate to give our knowledgeable Pet Counselors a call about this wonderful breed! We also have Chihuahua puppies for sale, just check out our available puppies right here! 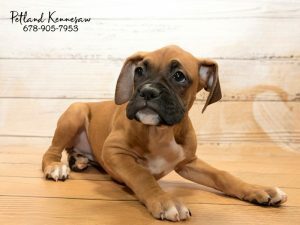 Boxer Puppies for Sale, Don’t Let This Sweet Breed Pass You By! Boxer Puppies for Sale at Petland Mall of Georgia! The Boxer is one of the most popular dog breeds in the United States based on AKC Registration Statistics. If you are looking for Boxer puppies for sale and have wanted to own one, this guide can help you learn more about the dependable, kind and affectionate Boxer. Petland Mall of Georgia always has Boxer puppies for sale, check them out right here! The Boxer is a service dog and is known to be one of the best seeing-eye dogs. This dog dates back in history as a courier dog and a guardian. It has many excellent traits and some downsides too. What makes a Boxer a great pet? This breed does not require regular grooming; because of its coat, it does not need trimming or stripping. This breed is the perfect watchdog. It is alert and will bark when there is an intruder. Its owner and his family can depend on a boxer in case a situation escalates. This breed needs to exercise and play on a regular basis and thus is ideal for owners who run, jog or train outdoors. This breed is ideal for kids because it is energetic, playful and tolerant. It is also gentle with other smaller animals or pets in the house. This breed is ideal for people who don’t have previous experience with caring and training for dogs. This breed is for families not just for singles; it is tough but sweet and can protect its owners anytime. A Boxer is a dog that can steal anyone’s heart. But before checking out Boxer puppies for sale, take a look at these downsides of owning one. If you are not a very active person then you might reconsider a Boxer. It needs to get out and play or run. Your Boxer could only develop health issues such as obesity if you don’t take it out for a walk or run. If you live in a small apartment then you might have trouble dealing with a boxer. Aside from needing a lot of space to exercise, it could bark loudly and cause a nuisance. A Boxer may not easily tolerate hot and cold temperatures though so before taking a walk, find out how hot or cold it is before you take it out. Still want a Boxer for a pet? Then it must be time to check out Boxer puppies for sale online. German Shepherd Puppies for Sale: Unparalleled for Protection and Loyalty! German Shepherd Puppies for Sale – Don’t miss your chance for the ultimate protection breed! So you think that cute German Shepherd puppy for sale is for you? Before you take a German Shepherd for a pet, take a look at some of the most notable personality traits for the German Shepherd Dog. Here at Petland, the GSD is one of our absolute favorites to place with both big families and single people alike! This loyal breed makes a great addition to any home. If you want to check out our floppy-eared German Shepherd puppies for sale, just click here! A German Shepherd is a dog fit for both military use and for personal protection. It is smart, active and eager to please. This dog is also protective and versatile which is why it is the best police dog yet. This dog is heroic in looks, but a puppy at heart. The German Shepherd comes in a number of colors but the most common are a combination of black, tan and brown colors. This dog is very low maintenance and does not require any regular grooming routine except for brushing to keep its coat clean and healthy. A German Shepherd could shed so vacuuming indoors is a must. This dog is one of the easiest to train. It requires very little repetition to be able to master tricks and commands. It can retain a large number of commands and perform them excellently. The GSD is one of the best watch dogs since it will bark and growl when there is danger and if there is an intruder. It will defend its owner and his family from any danger. This dog is one of the active breeds so be sure to have a regular schedule for exercise and play. This dog breed needs consistency and is not ideal for someone who has never trained a dog before. It can be good with kids and is very playful with other pets. 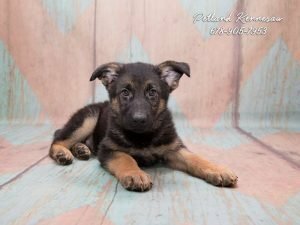 Still interested in finding German Shepherd puppies for sale? Our dedicated Pet Counselors are always standing by to help you with any questions you may have about certain breeds that we carry, give us a call today! Add to Your Pack with One of Our Siberian Husky Puppies for Sale! If you’re looking for a pack of Siberian husky puppies for sale, you’re in the right place! We’ll not only provide them to you but also give you information about them so that after you take them home, you’ll know more about the dogs. 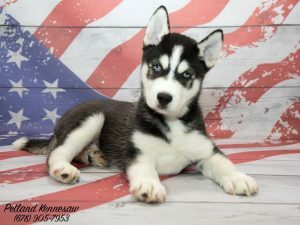 Want to see all of our adorable Siberian Husky puppies for sale in our store, just click here! The name tells it all, the dog breed originates from Siberia. Its believed that they were kept by the Chukchi, a nomadic tribe in Siberia. Although the breed history beyond the Siberian times is unknown their DNA suggests that they are among the oldest dog breeds known in the world. Back then, they were mainly used for transportation as well as being kept as a family dog where they offered protection. The huskies normally slept with the children providing them warmth and protection while asleep. It was during the gold rush that the dog was brought to Alaska for use as sled dogs. Later they came to be used in the Alaska Sweepstakes dog races and have remained active competitors since then. They have spread to different parts of the world including Australia where it is believed they arrived in the early eighteenth century. Siberian Huskies are a beautiful dog, they have a thick coat with multitudes of markings and colours. Their eyes can be multi-colored or sometimes bluish, they have striking facial masks which not just add to their beauty but make them recognizable from a distance. Siberian huskies are known to be pack dogs, therefore when you see Siberian huskies for sale, make sure you select the pack leader in order to get the best. This will ensure that you have easy time training. You will find that the leader pack takes orders respectfully but at times you may be surprised when it decides to test the limits and attempts to take control of others when the training is done as a group. They are generally low shedders, therefore you won’t have a hard time taking care of the mess they may create in the car and house. When it comes to environment, they are not recommended to live in apartments but when they are properly trained and have regular exercise, they can do well in these kind of houses. Leaving the dogs unattended for long can make them feel lonely and bored. This would make them engage in destructive habits. The dogs like wandering, putting them into risk of getting lost, this means that you put fences around the house to ensure that they do not jump over. With this kind of information, you have learnt the basics about Siberian huskies, you can now take care of one. We have Siberian husky puppies for sale, buy them young, train them and you will get the best of these lovely canine friends. 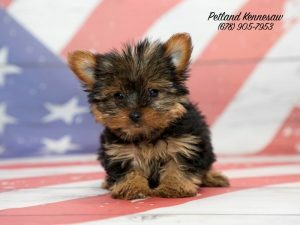 Have You Been Looking for the Perfect Yorkshire Terrier for Sale? If you’re looking for a Yorkshire Terrier for sale, look no further! Petland Mall of Georgia always has Yorkie puppies! Adorable, cute, warm and obedient are some of the adjectives that can be used to describe the lovely Yorkshire terrier. However, not everyone that has a Yorkshire Terrier for sale is created equal! 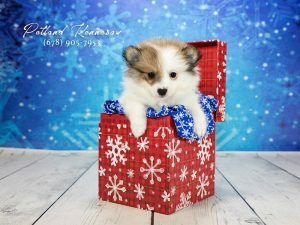 You must make sure that you are getting a happy, healthy puppy from a reputable source. Fortunately, Petland takes all the guesswork out of picking out your new four-legged family member! Can’t wait to check out our Yorkshire Terrier puppies for sale in our store right now? You don’t have to, just click here for all of our available puppies! Just like any other puppy, the Yorkshire terrier requires a good diet, well-balanced nutrition will not only make the pet healthy but also active. Our pets are well fed and have been given the right nutrients for them to grow up healthy and strong. We always feed and recommend Health Extensions brand dog food, a family owned, American based company. You’ll be getting a pet that has built a strong immunity against diseases, as we have one of the most comprehensive medical records in the country. Bathing, grooming and upkeep is important! Yorkshire Terriers are loved for their coat, its color, texture and quality are what makes it so attractive. Its hair, when well-kept and groomed is glossy, straight, silky and fine. The hair can grow long and parted down at the middle to give the Yorkie their “breed look”. However, many people choose to keep their Yorkies in a “puppy cut”, where the hair is shorter and easier to take care of. At Petland, we always maintain the grooming that puppies require until they are ready for their furrr-ever homes! Our veterinarian care is bar-none! For you to get the best out of your Yorkshire terrier, you need to be prepared to take good care of it. You’ll get a puppy which has good qualities, so it will not be hard to achieve what you need. You’ll get a puppy that has no health issues; they have all been checked by our vet and given a clean bill of health. While with us, we have ensured that they are checked regularly to ensure that they have no health conditions which might hamper their growth. Rest assured that your Yorkshire terrier will give you the kind of companionship you’re looking for! Bichon Frise Puppies for Sale: the Ultimate Powder-Puff Dog! Searching for Bichon Frise puppies for sale? Look no further, Petland has the Bichon puppies you’re looking for! The Bichon Frise (pronounced bee-SHON free-ZAY, we know, it’s a mouthful!) is considered to be a descendant of a type of water spaniel and was known in the Mediterranean area as far back as the Middle Ages. Bred as companions for sailors and nobility alike, the Bichon has enjoyed it’s reign as one of the most popular lap dogs in history. Bichons have long been recognized as good companion dogs because of their cheerful, even temperaments. They have recently had a surge of new popularity because of their hair coats that have little to no pet dander and are wonderful for those with allergies. Want to know about this frilly named little puffball? Read along with our blog to discover interesting facts about Bichons! Petland always has Bichon Frise puppies for sale, just check out our available puppies page! The Bichon Frise is considered a wonderful all-around pet that is both playful and gentle. Bichons get along well with other pets. And they are generally considered very good with kids of all ages. Bichons are active dogs, but because they are small, they don’t need much room for play and exercise. They are suitable for apartment living. Bichons are not known for barking, which is a real plus for people who live in urban areas. They do require considerable time for the maintenance of their luxurious coats. They need grooming, bathing and trimming on a regular basis to keep them from getting matted. Bichons average in weight from 8-12lbs and are slightly longer than they are tall. Their coats are either all white, buff and white and apricot and white. They need patience and consistency with training. The Bichon is very intelligent, but sometimes that means they might not want to do what you want them to! The Bichon Frise makes a great pet for many different types of families! 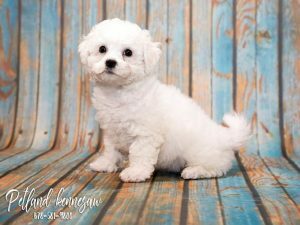 Find out more about the Bichon Frise puppies for sale in our store by giving our dedicated Pet Counselors a call today! Pomeranian Puppies: Intelligent, Feisty and Cute Beyond Compare! There are few breeds that are as recognizable and loved as Pomeranian puppies are! Pomeranians are one of the most popular small breeds of dogs. This is in part because they are extremely cute, fiercely intelligent and highly adaptive to any environment. Popular for being the star of many pet shows and pet contests, the Pom always seems wins the heart of judges and the audience for its many awesome personality traits. But that doesn’t mean that Pomeranian puppies are right for everyone! Here at Petland, we believe that there is always a perfect breed for every family, so do you think the Pomeranian is right for you? Pomeranians have that lovely coat which needs regular brushing to keep it clean and healthy. They do not require shaving or grooming, but many people will have them cut down in the summer months to keep them cool. It sheds moderately, so be prepared to clean often. Pomeranian puppies need to train early and need a firm hand, they can be headstrong. They can master commands and will train well with positive reinforcement. Pomeranian puppies are alert even at a young age. Poms will bark and growl in an effort to deter intruders and alert its owners of any danger. It is a very protective breed and will do all it takes for its owners. It adapts really well to apartment living because it does not need a big yard to move. It can also adapt to changes in temperature so cold and warm weather will not be an issue at all. The Pom is not particularly active, but will still be very eager to accompany you anywhere you want to go. It can be a companion for walks, jogs or even while shopping. Pomeranians are harder for first-time owners, but with patience and persistence in training, you can have a very well-behaved pupper! Poms do not do well with children, especially if they haven’t been acclimated to their environments. We recommend exposing you Pom to all sorts of people, animals and situations. Choosing a perfect dog breed for you and your family can be a complex process! But here at Petland, we want to make this decision an easy one for you. Our caring, knowledgeable Pet Counselors are experts in the world of dog breeds and can point you in the right direction. And with all of the puppies we have in our store, we can have the right choices for you! If you’re convinced the Pomeranian is going to be your new best friend, check out our puppies right here! Dachshund Puppies for Sale, What’s Not to Love About the Weenie-Dog? Dachshund puppies for sale: Don’t miss out on this spunky little breed! 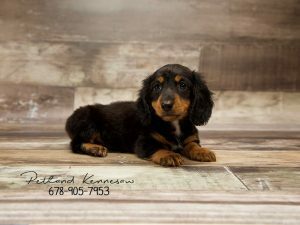 Are you looking for Dachshund puppies for sale? Here at Petland, the Dachshund is one of our favorite breeds! We receive our puppies from only the most dedicated, reputable breeders in the country and it shows. Our Dachshund puppies for sale are always happy, healthy and ready to go home with you and your family! Check out pictures of our Dachshund puppies, right here! The Dachshund has a lot of names. It can be called a Teckel, Tekkel, Weenie Dog, Sausage Dog Worshond or a Bassotto. This dog’s body is very low hung and long which allows it to move in and out of a den or a tunnel. It is hardworking and ready to please. This dog is very confident and very agile. It is short and small, but it can confidently move anywhere it wants to. The Dachshund is available in several colors, black and tan, merle, pied and many more! It also comes in a number of varieties such as the short hair and the long hair. The smooth kind has short and shining hair while the long hair has sleek and may have slightly wavy hair. The Dachshund requires regular grooming to keep its fur in tip top shape. For the longhaired version, you may need to trim or strip it occasionally to make the coat shine. This dog can watch over your home or property and will bark when there is an intruder. It is alert and is very protective. The Dachshund is ideal for people who live in an apartment. It does not need regular exercise or a large area to exercise or roam around. You need to socialize a Dachshund early to avoid nipping at small children and to make it friendlier to other pets. So are you certain that this breed is the right one for you? Then it’s time to look for Dachshund puppies for sale at our store! Our dedicated Pet Counselors can help get you everything you need to take home your new little bundle of joy! Puppies for Sale, Being Prepared for a New Bundle of Joy! Puppies for Sale: Our New Puppy Checklist! Do you have room for another puppy or a new puppy in your home? Seems like a very basic question, but it really is the most important of them all! Do you have enough time for another dog especially when you already have one or two or, perhaps, more? Will you have room for a large-breed dog in your tiny apartment? Do you have the training you need for a new puppy? Every puppy needs the attention and care of a responsible dog owner! Here at Petland, we take this question very seriously! We want to understand your circumstances before matching the right pet with you and your family. Petland is also a premier source of valuable breed information and our capable Pet Counselors can answer any questions you may have. 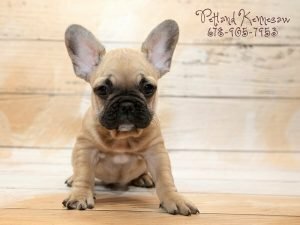 Do the puppies for sale come from a reputable dealer? This is especially important for purebred and designer breed puppies! At Petland, we take animal husbandry to heart and it shows. We only use caring, professional breeders that dedicate their lives to raising the standards of animal care not only for their puppies, but their parent dogs also. We take the time to attend breeder conferences and learn about advanced veterinary care. The Petland family is also very involved in visiting our breeders in person so we can give you an exact answer to the “where do your puppies come from” question! Do the puppies for sale have veterinarian clearance? Vet care for young puppies can mean the difference between a happy, healthy puppy and serious veterinarian bills! Breeders should adhere to very strict vaccination and deworming schedules, vet checks and preventative medication measures for each and every puppy. Petland is a leader in the industry for having the most comprehensive medical records in the country! Does the puppy require special attention and training? Puppies are puppies, but some breeds require more intense training and maintenance. Make sure to have ample time in your busy day to walk your pup, take it to the groomers, take care of basic training and more. Always be sure and ask our Pet Counselors is you’re concerned about training. We can help you find a breed to fit your needs! How about your other pet dogs or pet animals at home? Introducing a new puppy into your home can be quite the event! We can also help you with tricks for helping your other pets cope with the change. When choosing a breed to fit in with current pets, it is important to consider size, activity levels and much more. Here at Petland, we want you to be fully prepared for your new bundle of joy, even when adding them to a pack at home! Will you be a brand-new puppy owner? Or maybe you haven’t trained a dog in a long time? Check out our blog on easy-to-train breeds, right here!